Greetings, adventurers! The Driftwood Tavern is back with its fifth episode this Friday, June 9 at an earlier time of 10am PT. Take a seat by the counter and join us for an hour of community updates. We’ll be talking a little more about what you can expect with Tomb of Annihilation. 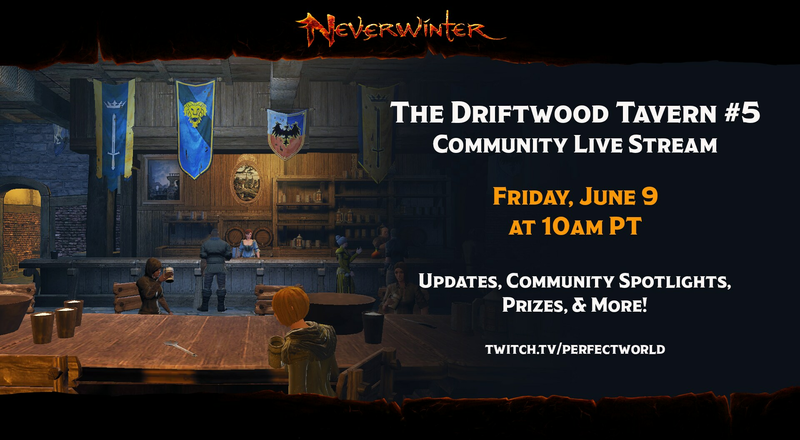 “The Driftwood Tavern” will open up again on June 9 at 10am PT on the official Perfect World channel.